Don't be fooled by this Blaster's micro size appearance, because it's got macro stealth power! 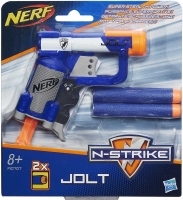 After you load your ultra-small Jolt blaster with the 2 included Elite darts, just hide it in your pocket to manoeuvre in close to your enemy. When the moment comes, pull down the cocking handle to ready your shot. Pull the trigger and reload fast to win the day! Take on your friends in an Epic Nerf Battle! 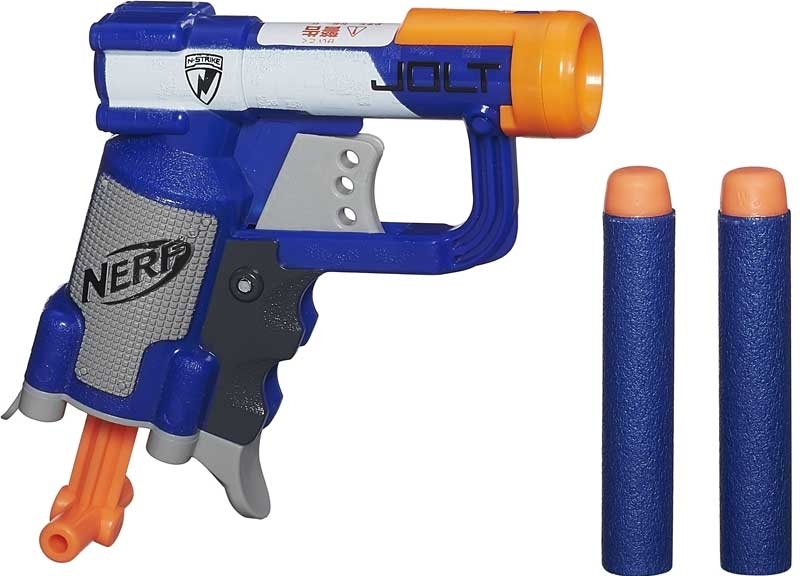 It's Nerf or Nothing!